SWB: Picc, 2 Fls ( = Picc. 2,3), A.Fl, Ob, Bsn, P.Cl, 3 Cls, B.Cl, 2 A.Sxs, T.Sx, B.Sx, 4 Hns, 4 Tpts, 3 Tbns, Bar, Tba, Timp, Perc (4-5). SO: Picc, 2 Fls ( = Picc 2, 3) 2 Obs, Eb Cl, 2 Cls, B.Cl, 2 Bsns, C-Bsn, 4 Hns, 3 Tpts, 2 Tbns, B. Tbn, Tba, Timp, Perc, Hp, Str. I was standing at the top of the mountain and watching down at the Alpine valley. The view was marvelous – the green meadows surrounded by groves, small houses and herds. The pure mountain air rang as the most wonderful and fascinating music. Calm and serenity reigned at that corner of Paradise. 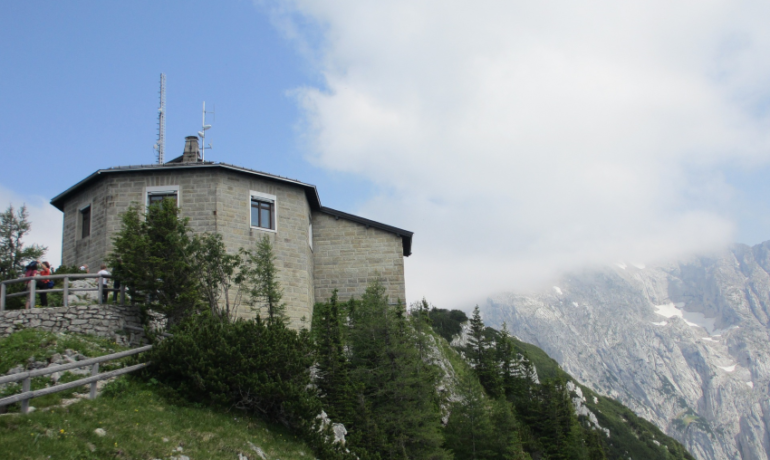 Suddenly I shuddered, because the name of the place I was standing was Kehlsteinhaus (the Eagle’s Nest). From this place had crawled out into the world a monster that brought suffering, torment and death to millions of people. This monster defiled and contaminated the all that it had touched; its stink poisoned the pure air. It was an absolute evil – self-satisfied, impudent, triumphant and bloodthirsty. This evil devastated the wonderful world that was full of Hope, turned it into the valley of weeping, the valley of sorrow, pain and tears. If we forget about it, the monster will come back. I conceived the composition in 1999, , but it took me about 10 years to complete it. In Hebrew, I named it Lo Tishkach! (Do not forget! ); these words conclude the verse about Amalek from Deuteronomy (25:19). That was also how I initially named the piece in English. But later I decided to rename it Lest we forget, a phrase that is inscribed on a monument for Holocaust victims that I was in Wellington. The poem was written for symphonic wind band. In February, 2010, Michael Delman premiered it with the symphonic wind band of the Petah-Tikva Conservatoire. In 2010, I prepared a version for symphony orchestra, which has not yet been performed.